Ginger received her 200 hour teacher certification from Hamsa Yoga Studio in Carleton Place, Ontario. 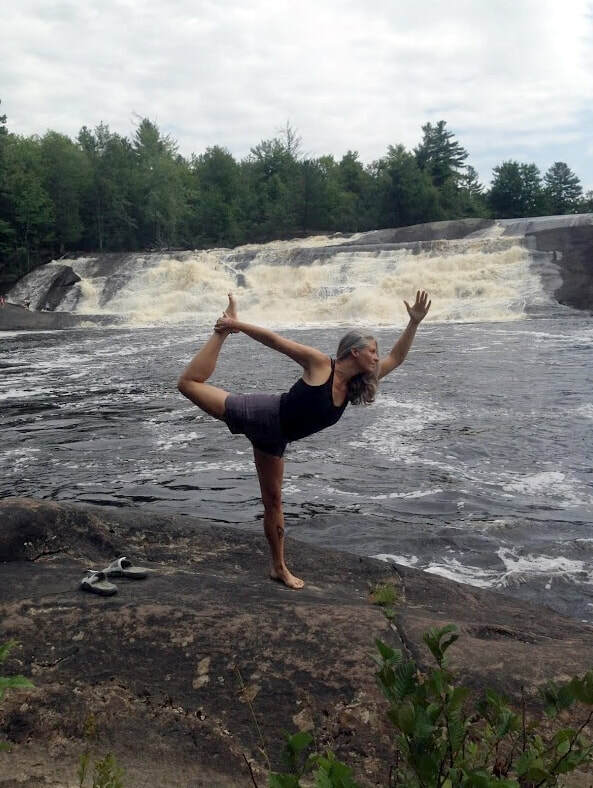 She teaches multi-level experience yoga, Chair yoga for seniors, Restorative Yoga, yoga for athletes, and yoga with kids. Her interest is in sharing a general hatha practice guided by one’s internal awareness, and helping others to find their blissful, radiant Self on and off the mat. A Mom of 6, she loves to share her journey (natural/unassisted childbirth, attachment parenting, natural hygiene), encompassing physical and spiritual evolution. Ginger has a passion for inquiry into consciousness and the metaphysical: the Magic of Life is her greatest love.